The sight of my living room made me really happy. In just a few hours I had changed what obviously used to be an office room into a very cosy room. Where once the books and files of the company had been, now my books looked really smart. The second hand table and chairs seemed to brighten up because of the sunshine coming through the windows and my coffee table and the new bought sofa were a perfect couple. The book case filled with my records next to the coffee table with the audioset completed the room. I had done the bedroom in the early morning; there was not a lot to it: my bed against the back wall opposite the wardrobe. I had plans to buy a bedside table later that week. Would be handy for the alarm clock and such. I walked around my new kingdom and was very proud. My own appartment and nobody was going to tell me what to do. The owner of the building had told me that I eventually would share the kitchen and bathroom, but that for the time being nobody would disturb me. There was no other tenant and it would take some more time for them to find one. There seemed to be some legal problem. It was none of my business and I really didn't care. The doorbell rang and I spoke for the first time through the intercom. It was a bit disappointing, it was my father. "I found some more things of you! ", he shouted. I went downstairs and opened the front door. He had a box in his hands, completely full with books and other stuff. I took it from him and asked him to follow me upstairs. He was my first visitor and I hoped for an approving word or such, but he hardly looked around, just sat down on the sofa. No need to give him some sightseeing through my domain, I decided. I took everything out of the box: it was very clear that he had tried to clear his loft a bit. None of the stuff in the box was mine. I saw school books of two of my sisters and some second hand books I remembered him buying in a sale from a bankrupt private library. "Nothing of this is mine", I said, while he started to look a bit annoyed. Did he expect me to apologise or such? I didn't understand, I was certain he knew the contents of that box had nothing to do with me. He asked me if there was anything I wanted. 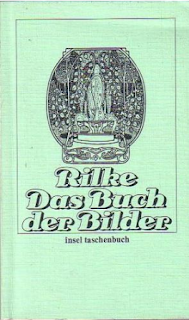 I had noticed that there was one interesting book among all the romantic novels and school books, so I asked him if I could keep that one. That way at least he didn't make a useless trip to me. He nodded, so I laid the book by Rainer Maria Rilke on my table and put the rest of the books and other stuff back in the box. He wanted to leave without the box, but I protested. I didn't have a clue how to get rid of anything but normal rubbish at my new place, so I insisted that he took the box home again. "I will carry it to your car. I'm sorry nothing was really mine, but I do appreciate that you came over with this." He hardly said a word anymore, drove away without waving or anything. All this had made me hungry. Luckily I would be done with preparing my meal within minutes. 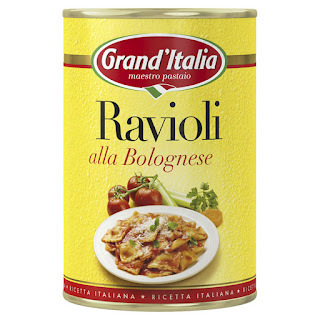 Just a can of ravioli I had to heat up and I would add some already grated cheese. So I went into my new kitchen where I had one pan, one plate, one fork, one knive and one spoon. Only then I realised that this can somehow had to be opened. I had forgotten to buy a tin opener. A look at my watch learned me that it was after 6 PM, so all shops were closed. There would be no cooking for me that day. It felt a bit like a defeat that I had to buy food from the "greasy spoon" that was situated around the corner. The next day I came home from the office and found a present on my doormat. A girlfriend had dropped a little book through the letter box, called "How to cook for yourself". It seemed to be quite funny. The first recipe I read had words in it like: "put the can on the surface and open it with your can opener". 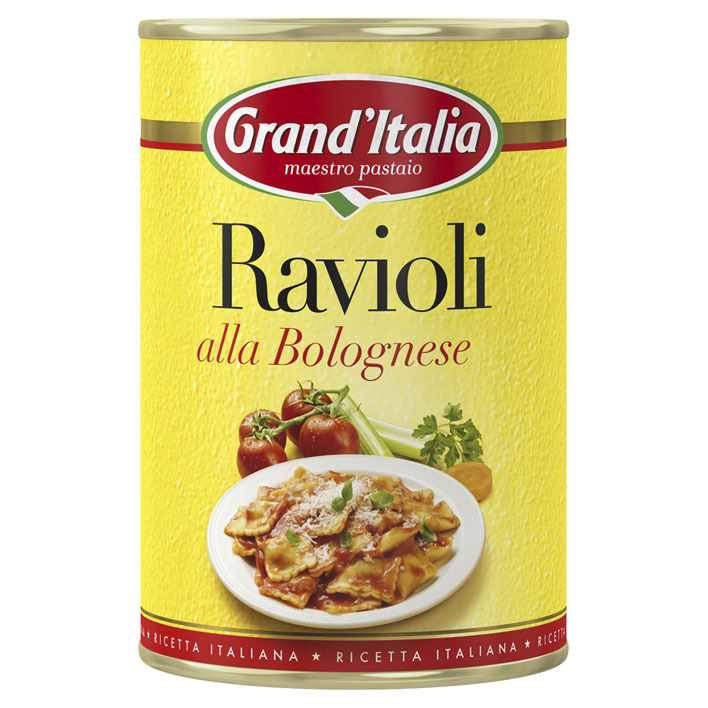 I was feeling in control: I took my new opener out of my bag and laid it next to the can of ravioli. Nothing could go wrong for me!